Joon will not spend the year 2019. The low-cost airline, launched just thirteen months ago by Air France, will disappear. Following discussions initiated in mid-November, Ben Smith, Air France-KLM's Chief Executive Officer, and Air France's three representative trade unions for aircrew (PNC) - SNPNC, UNAC and UNSA- PNC - reached an agreement on Thursday, 10 January, on "The integration of Joon's employees and aircraft into Air France". This decision is anything but a surprise. Since his arrival at the controls, the new boss of the Franco-Dutch company has never concealed the fact that he did not like the creation of Joon. Internally, reports an administrator of the company, he considers it as " a wart ". He further pleads "A simplification of brands", too many for his taste in the group where cohabit, Air France, Hop !, Joon, Transavia and KLM. This profusion does not fail to disrupt the customer. "The multiplicity of brands has created complexity and has unfortunately weakened the power of the Air France brand", regretted the direction. "Customers can not see the consistency between Joon and Air France", analyzes Christelle Auster, Secretary General of the National Union of Airborne Commercial Personnel (SNPNC) of Air France. Launched by Jean-Marc Janaillac, Ben Smith's predecessor, Joon was a hybrid company. With its operating costs reduced by 13% compared to those of its parent company, its main mission was to help Air France make its loss-making lines profitable. A goal achieved in particular with the hiring of hundreds of stewardesses and stewards to pay conditions much lower than those of their counterparts at Air France. This decision probably cost Janaillac his job. On the occasion of the consultation, organized in May 2018 with Air France staff, the company's PNCs had voted en masse against the salary agreement proposed by the former CEO, who had had to resign. On paper, Joon has so far fulfilled his mission. 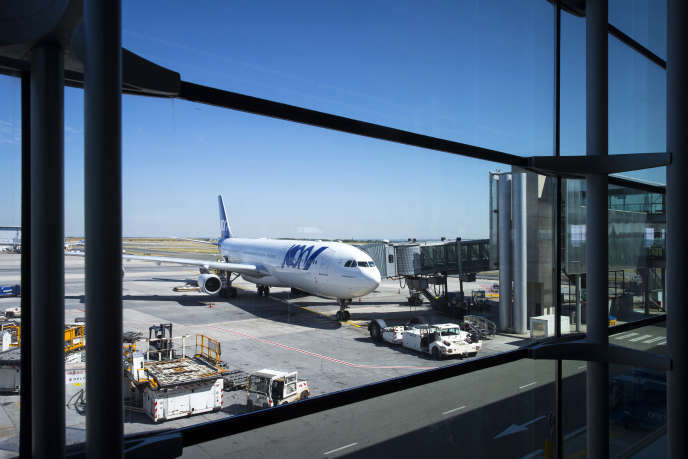 The young company became a beneficiary, with a filling rate close to 90% and a 5% increase in the number of passengers on its medium-haul flights. But this result is in trompe-l'oeil, note Mme Auster. "Air France supported all the infrastructure and the costs, while the recipes went to Joon", She says. Last summer, Air France's PNC unions alerted about the conditions and suffering at work of their counterparts in Joon. The latter denounced overloaded schedules linked in particular to the rise of the company. Under the terms of the agreement with management, the 600 hostesses and stewards of Joon "Will be integrated into Air France at the remuneration level of the Air France cabin crew", says Mme Auster. However, says the Secretary General, "Their career will be slowed down for three years". A "New Compensation Condition That Will Apply to All NCPs to be Hired in the Future", she adds. "A give and take" which satisfies the three representative unions of Air France flight attendants and stewards. For meme Auster, this agreement marks "The end of the permanent conflict" between the unions and the management of Air France, which had been going on for several years. According to her, it marks especially "Ben Smith's willingness to restore a peaceful social dialogue with all categories of staff". The scheduled end of Joon is also a signal sent by the new boss internally as well as towards the customers. In an email to employees on Wednesday, January 9, Smith said Air France will position itself on "High-contribution trips", that is to say the passengers who bring back the most. This " upmarket "accompanied by "Desire for harmonization", reports Mme Auster, will be illustrated by an increase in the number of first class seats, business class and Premium Economy. And this, "To increase the recipe", especially on the inner lines, says the trade unionist. Ben Smith has thus affirmed his will "To put very French products in Air France planes, even if it is expensive"adds the SNPNC General Secretary. With the example of wines, cheeses, butters of renown and big marks which will find their place in cabin. After Joon, which is expected to merge with Air France in April, Smith is expected to tackle Hop!, The regional airline subsidiary. The mark should be kept, but the management wants "Rationalize the fleet which, with three types of aircraft, is considered too expensive", concludes Mme Auster.